Late last night, Xiaomi announced a new Android-powered tablet, the Mi Pad, featuring specs that will make you turn your head. Xiaomi’s iPad Mini look-alike, is headlined by NVIDIA’s newest Tegra K1 processor, as well as a design which is sure to stir up Apple’s legal team. 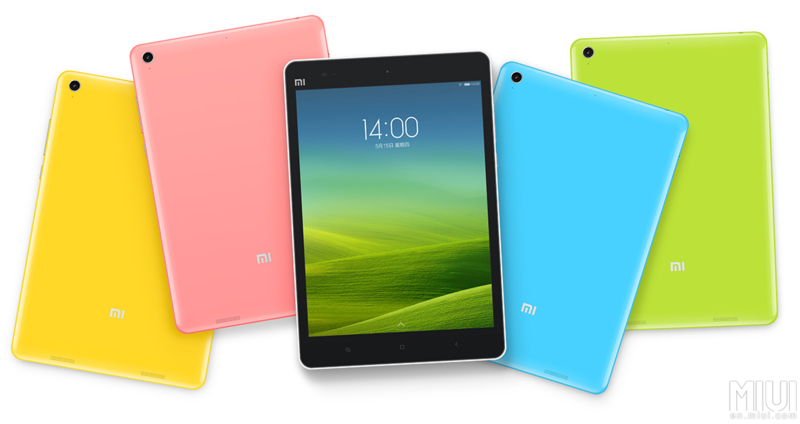 As if the quad-core Tegra K1 wasn’t enough to keep our interest, the Mi Pad comes packed with 2GB of RAM, 16GB (up to 64GB) of on-board storage , a microSD card slot, 7.9″ IPS display (2048 x 1536), 8MP rear-facing shooter, and a 5MP front-facing camera. Due to the fact that this Mi Pad looks almost exactly like the iPad Mini, we can safely say that this tablet may not ever come to the US on retail shelves. However, if we could see more Android OEMs putting spec sheets like this in their tablets, we would not be complaining.